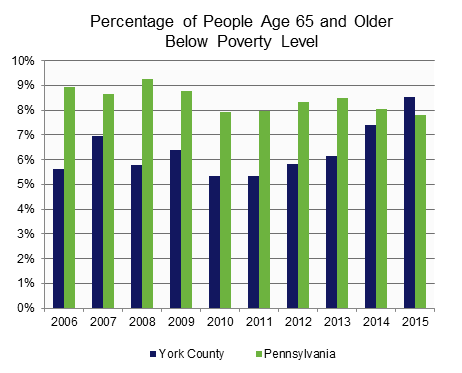 For the first time in 10 years, York County’s percentage of people age 65 and older living below poverty has surpassed Pennsylvania’s. 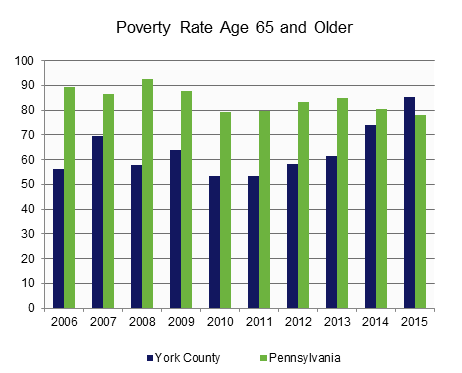 The poverty rate of York Countians age 65 and older is on the rise and for the first time, is higher than Pennsylvania’s. Note: Universe for Poverty Rate Age 65 and Older graph is per 1,000 population age 65 and older.